In our previous guide: how to control Andriod from PC or Mac, we have shown you how you can control your Android smartphones or tablets with your PC or Mac. This guide is just the reverse thing of it. You want to gain access to your PC or Mac from your smartphone itself so, how to control PC from your smartphone, either it’s an Android or iPhone? 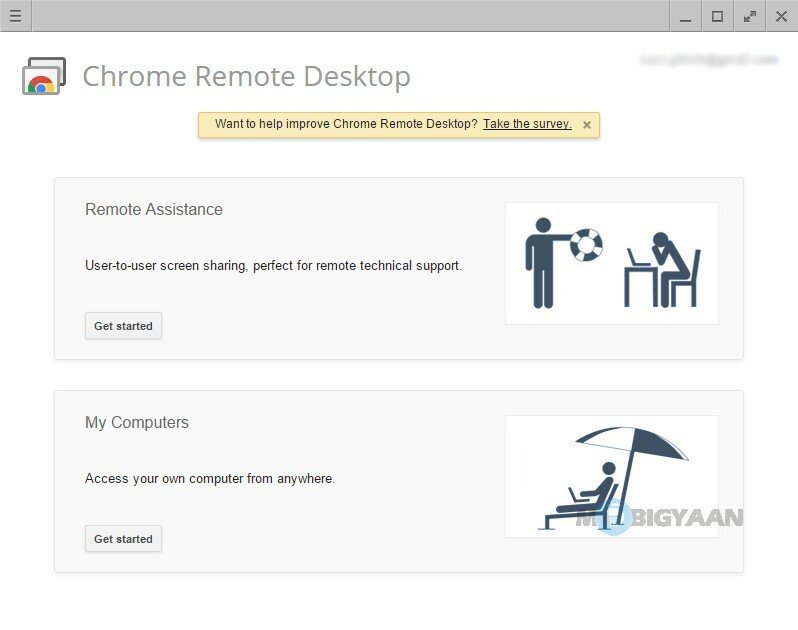 In this tutorial, we’ll use Chrome Remote desktop for making a connection between your PC and smartphone so that you can use it to control your computer (PC or Mac) remotely no matter where you are as it uses an internet connection to connect with the devices. 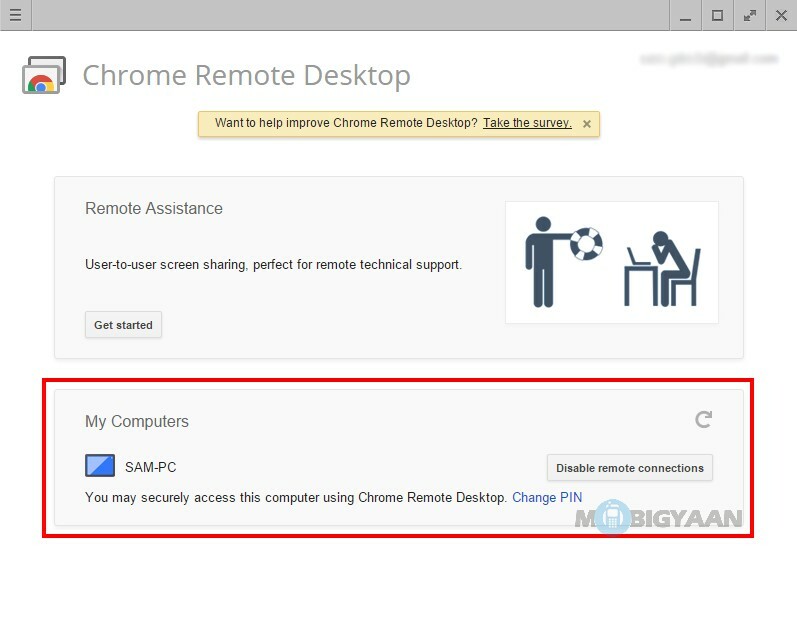 By installing the Chrome Remote Desktop extension to the Chrome browser on your computer, you can view the whole display in your tiny mobile screen and control everything with your mobile devices by logging with a password or PIN that you have already set. 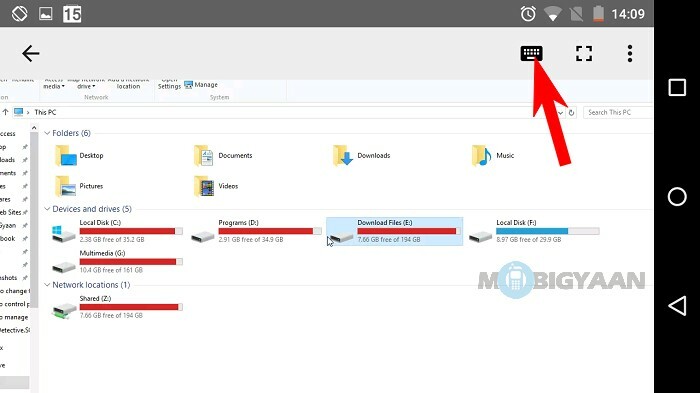 This is very useful if you are away from your PC and you want to control something let’s say you want to stop some music playing or something that’s downloading on your PC with your mobile phone. Another instance can be something important like you want to give a tech support to your friends when you are far away. As effective as it is, that’s a huge help to me because I often left my PC with the loud music turned on. Also, I usually play movies and leave my PC as it is and take a ride outside. If I am not in front of my PC, this can be a huge issue unless I have turned it off. Consequently, I have to control everything from my Android smartphone. Download the following stuff before jumping on the forthcoming steps. They are required on both – desktop (PC or Mac) and mobile device (iPhone/iPad or Android) for connecting with each other. 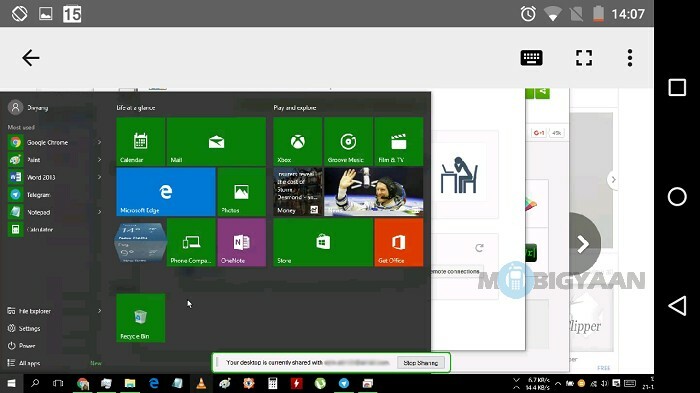 All you need is the Chrome Remote Desktop extension and the app. 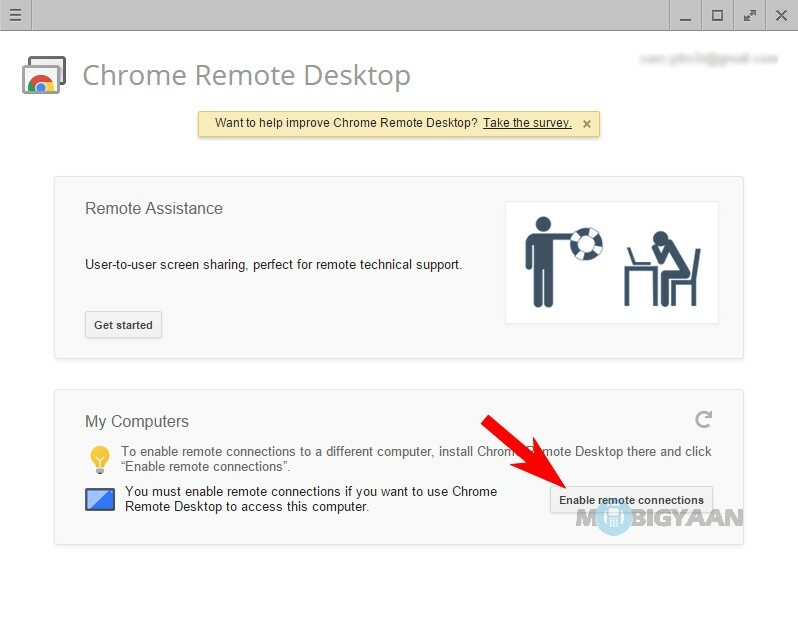 Step 1: Download ‘Chrome Remote desktop’ extension on your desktop Chrome browser from the above given link. Click on ‘Add To Chrome‘. Step 2: Click on ‘Add app’ which adds to the chrome browser as an extension. Read what kind of permissions this extension requires. Step 3: Once it’s installed and added to the chrome browser, launch the app. This has to be done only once and you will just forget about the extension as it runs in the background. When you launch the app, you may be asked to sign in to your google account. Step 4: Here, you can see two tabs, one is for ‘Remote Assistance’ and another is ‘My Computers’. Click Get Started and enable the remote connections. 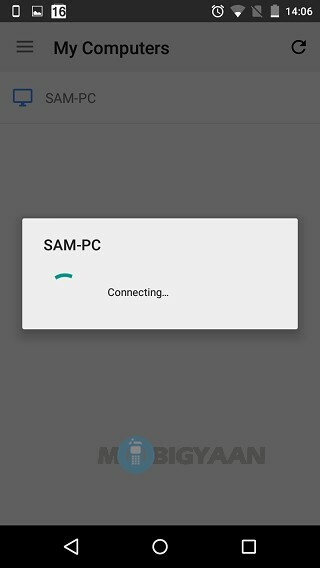 You must enable remote connections if you want to connect your smartphone with your computer. Step 5: As to protect your PC or Mac with intruders, you must set a PIN of at least 6 digits. 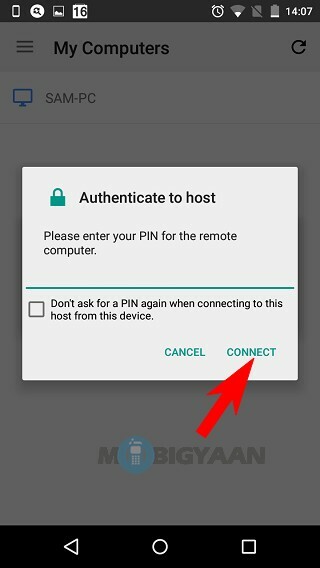 This PIN is required every time to connect it to your PC, still if you do not want to enter again and again, you can remember it through the mobile app. 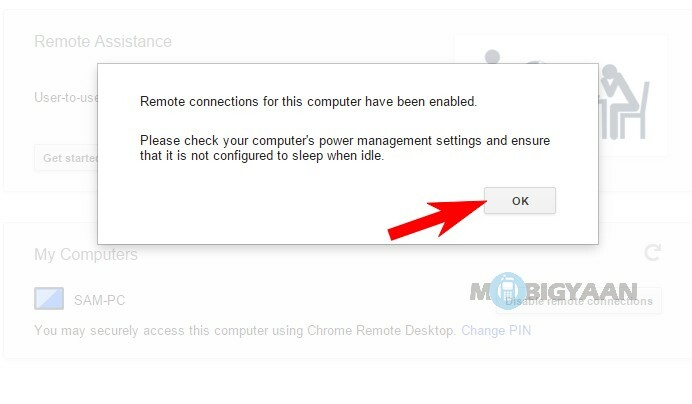 Once you set this PIN then remote connections will be enabled for your computer. If you are using a laptop just like me, make sure to configure your laptop to not sleep or shutdown under your power management software. I find most of the laptops won’t be hitting shutdown while you control PC from your smartphone. You may notice that there is an option to disable the remote connections for your computer if you do not need it. Your computer is secured with the PIN you just have setup so no worries. Before we get it started, I would like to tell you that the below steps are explained on an Android device. So, iPhones users will just follow the same method, after all, the interface of the app works the same on all devices. I have tried it using an iPad too and everything is all same. 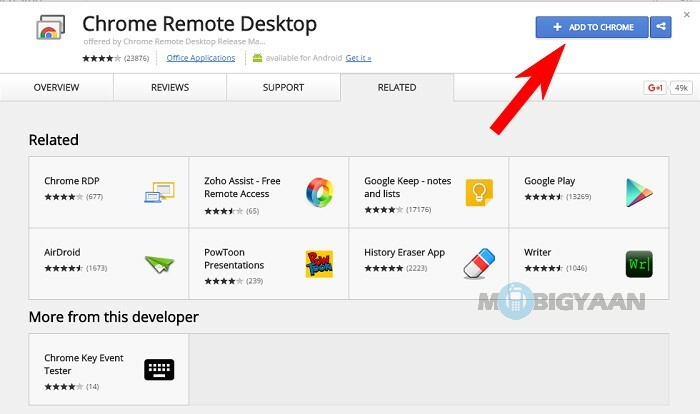 Step 1: Use the above link to download the Chrome remote desktop app on your Android or iOS (iPhone/iPad). Open it. If you are asked to login to your Google account (preferably iOS devices), sign in and continue. 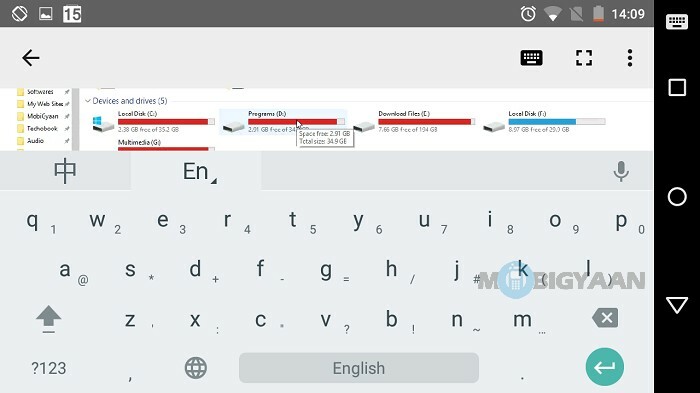 You can see the list of computers in this app if you have setup multiple computers for remote desktop. As we have done just one, tap on it to access your own computer from anywhere. 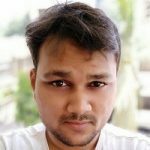 Wait for a moment to connect to your computer and if you are experiencing any network issues, check if your internet is working fine since Chrome Remote Desktop requires internet connectivity. 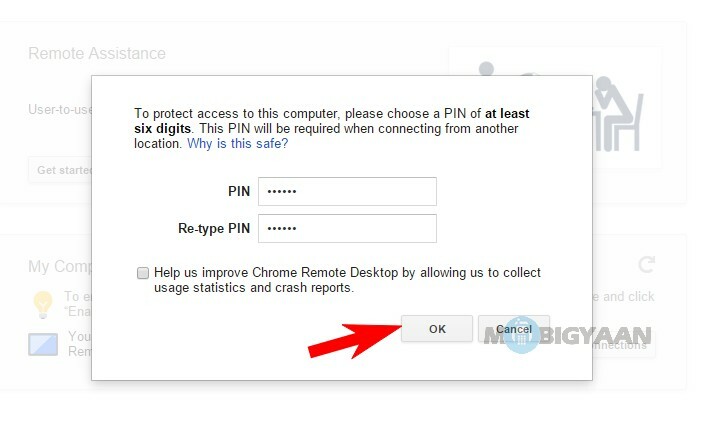 Step 2: Now is the time to enter the PIN that you have set previously on your PC. You can opt for not asking the PIN repeatedly by selecting the checkbox. Tap connect. 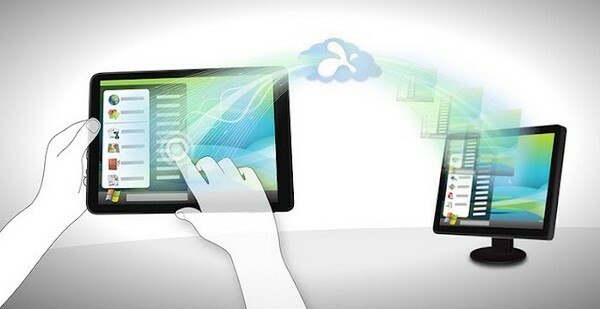 Finally, your PC can be viewed on your smartphone and can be controlled with your smartphone’s touchscreen. You can swipe to control the mouse movements. One tap on the screen does a left click and two finger tap does a right click. Toggle the keyboard button on the top right corner to bring the keyboard in front to type what you want. The keyboard will remain the one you use on your smartphone hence, you will miss the CTRL or Command keys and ALT keys to control your PC. 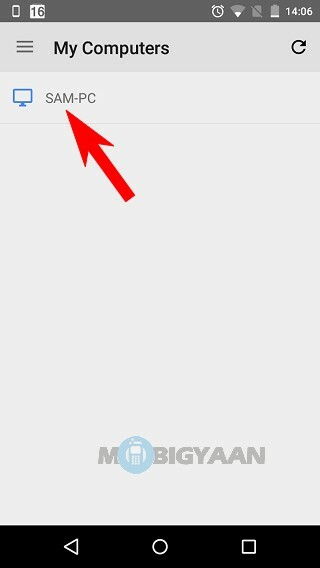 To make it full screen, use the full-screen toggle button on the top. 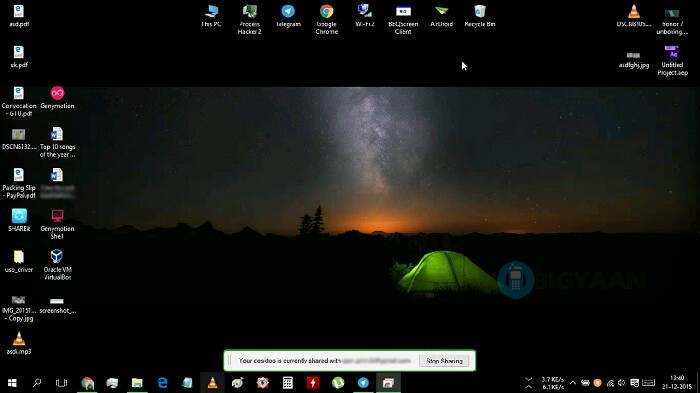 A full-fledged desktop can be viewed and controlled just within your smartphone. Now you have the power to control PC from your smartphone and do anything you like. 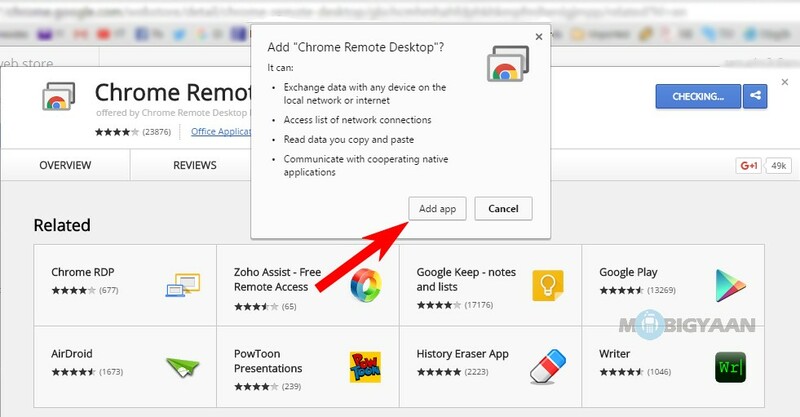 As Chrome is the most popular browser, it has tons of useful extensions and apps available and Chrome Remote Desktop is among the best giving you access to your computer from anywhere using your smartphone. 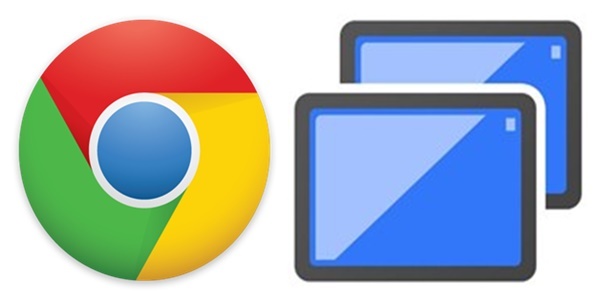 Have any troubles with the Chrome Remote Desktop? Make sure to let us know under comments, we would be glad to help you out. For more tutorials, check our How-To Guides.